The first thought that comes into most people’s mind when hearing that Kiefer Sutherland had released a Country song was ‘Jack Bauer singing? That won’t work!’. But put all the 24 and other actor credit thoughts behind you and go in with a fresh, open mind and you may be pleasantly surprised. Having one of the most recognisable and, in my opinion nicest, speaking voices in Hollywood, I am pleased that he has put his voice to music. I had always hoped he would put his voice to satellite navigation but this is even better! 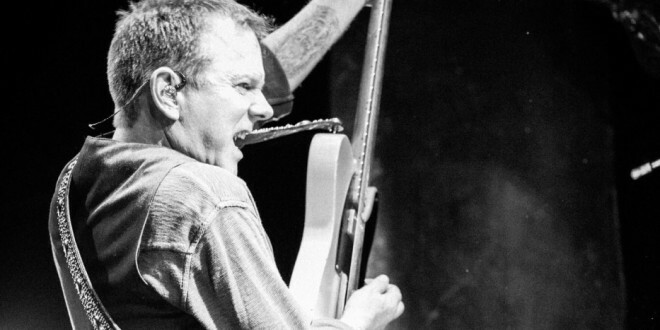 With Country Music getting bigger and the genre having devoted fans, is there really a place for Kiefer Sutherland in an already competitive industry? Sure! I don’t think that Kiefer has any intention of attempting to be as successful as Luke Bryan or Keith Urban, but possibly wanted to do something he always wanted to do as a project and maybe a bit of fun – and why not? That’s not to say he shouldn’t be taken seriously, because he absolutely should – my point being, not everyone is in it for the Big Time. We should concentrate on the music for what it is and ask ‘do we like what we hear’? If you know Kiefer as an actor, I would say listen to this song with without watching the video. The video is by no means bad but it may be a distraction to those who only associate him with 24 or Lost Boys and so on. You need to download this and play it with your eyes closed and really take it in. I actually really like this song and am so glad that I do. It is very much a Country blues track and refreshingly different from what we hear on Country radio these days. The melody of this song is beautiful with a lot of traditional Country instruments used and a typical Country blues rhythmic beat. Listening to this song makes me feel like I am sat in the Grand Ole Opry – right in the heart of Country Music. The melody has a very melancholic and somewhat heartbreaking vibe to it and you feel the pain in every note and every lyric. The lyrics are fairly simple but perfect for the style of song that it is. Despite being simple lyrics, the words are true and have meaning and certainly believable – maybe something personal that may have happened in Kiefer’s life. As a man who probably has a lot to express, Country Music is a perfect fit for him with it being a genre so famously known for telling stories – never afraid to confess every thought and feeling without sugar coating it. This song does exactly that! It’s a very memorable track, I found myself singing along straight after hearing it for the first time and actually a long time after that. Kiefer’s famously gravelly tone really suits this style of music and I just want to hear more. Now some of you may remember the documentary I Trust You To Kill Me, back in 2005, which saw Kiefer Sutherland taking his first signed act Rocco De Luca and The Burden on tour. Other artists with the label include Ron Sexsmith – a highly successful singer/songwriter, who was the second person to be signed. I am not sure if Ron is still an artist of Kiefer’s now. With a studio at his disposal, it was only a matter of time before Kiefer got in there to record. A fan of music and with an Impressive collection of guitars, he is no stranger to understanding the quality of good sound. Writing with Jude Cole certainly put him on the right path musically and the great thing about Country Music is that there is no age limit to it – it’s not as judgemental as pop or any other genre so it is never too late to release a song. 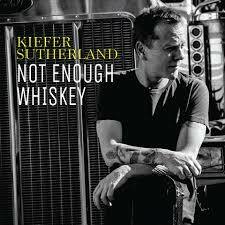 I, for one, cannot wait for his album Down In A Hole to be released; the more of Kiefer’s voice the better. Can he pull off a decent album? Of course he can! He is Jack Bauer and the baddest ever Vampire – he can do anything he wants. Why Zac Brown Band are a ‘Must-See’ live act!